Welcome to Jane Ullah's main homepage. A list of my projects at various stages of completion. 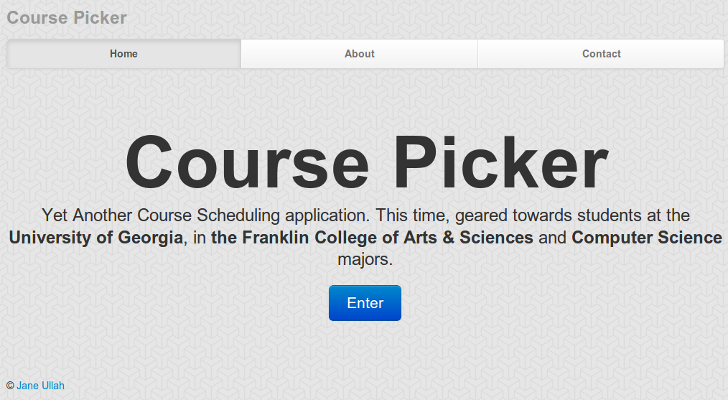 CoursePicker - a web application for building the perfect class schedule! Inspired by a Web Programming class project, I've added things like the ability to tweet out saved schedules, pulled in data from multiple semesters, etc. 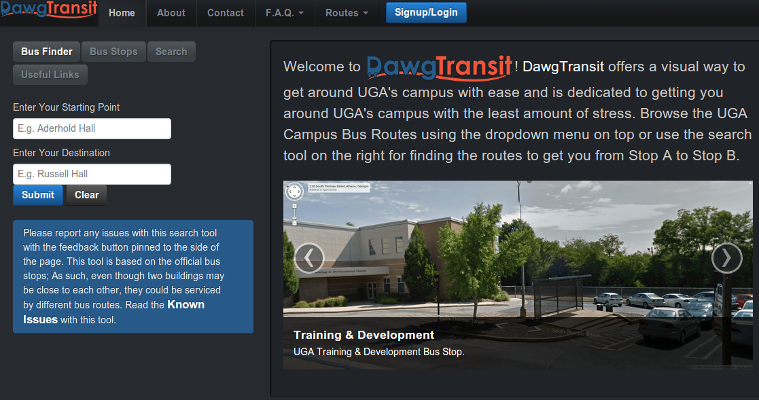 DawgTransit - a web application that attempts to make finding stops and routes on UGA's Campus a little bit better. 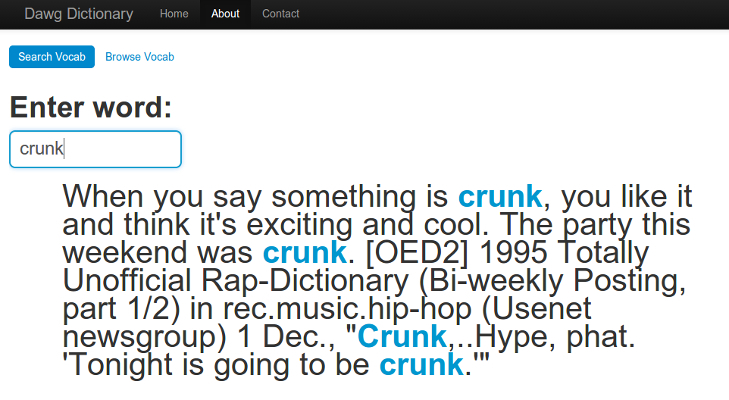 DawgSpeak - a simple web application that provides a "nicer" interface for the official UGA Slanguage dictionary. 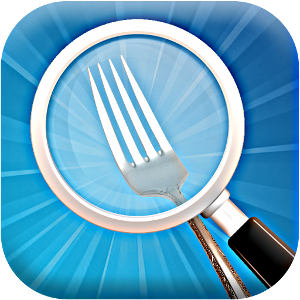 I'm a wife, pet-mom, blogger, inverterate twitter user, lifelong learner and curious technophile. I like to keep abreast of latest technological advancements through reading a lot of news (preferably online) and have a little black book of ideas I'd like to see come alive. 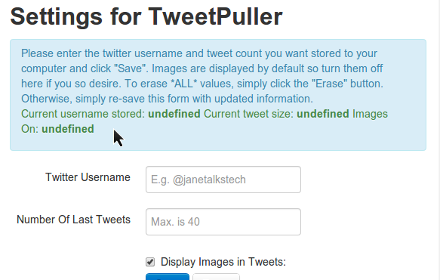 Quickest way to get in touch with me is email (janeullah@gmail.com) or twitter (@janetalkstech). © 2018 Jane Ullah. All rights reserved.